If you fly frequently, you know the value of having airline elite status. Free checked bags, priority boarding, assistance when things go wrong, and complimentary upgrades can really make travel more comfortable. Qualifying for elite status year after year, however, has become more difficult. In addition to flying the required number of elite qualifying miles, some airlines have added levels of hefty spending requirements (elite qualifying dollars) in order to achieve any level of elite status. Qualifying for elite status can be easier with the help of an airline-branded credit card. While none of the major domestic air carriers offers a credit card that offers complimentary airline elite status, there are credit cards that do offer a faster path to elite status. Being a cardholder and spending on specific airline-branded cards can earn you miles that help you qualify for elite status. You may also earn elite qualifying dollars on certain airline-branded credit cards that count towards elite status revenue requirements or earn a waiver of those spending requirements. Let’s take a look at the airline-branded cards that can expedite your path to airline elite status and explain how the process works for each card. In order to attain Medallion Elite status with Delta, you must fly a specified number of Medallion Qualifying Miles (MQM) or segments (MQS) each calendar year and meet the annual revenue (MQD) requirement. The revenue requirement (MQD) is met by purchasing paid (not award) tickets then flying on Delta and their Sky Team Alliance partners. The base fare plus a portion of taxes and fees count toward the MQD requirement. Another avenue for earning some of the required MQMs is by spending on Delta branded credit cards. You can also earn a waiver of the MQD requirements for Silver, Gold, and Platinum Medallion level statuses by spending on your qualifying Delta branded credit cards. 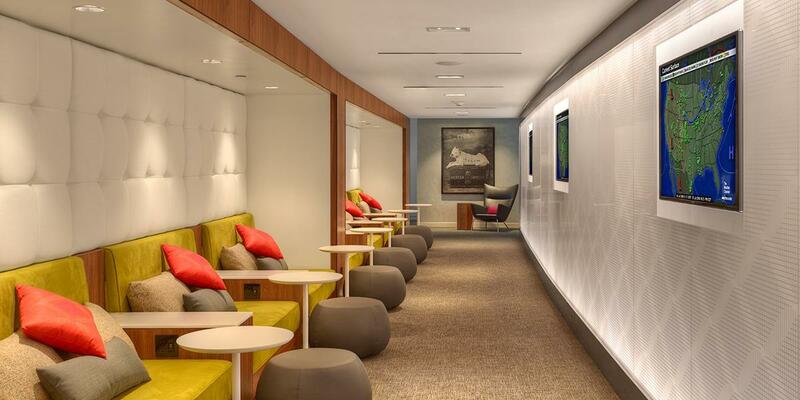 Top level Medallion elite status comes with free system-wide upgrade certificates, Delta SkyClub lounge access, waived fees for changes or cancellations, complimentary upgrades and much more. To learn about all the benefits of Delta Medallion elite status, you can access a complete overview here. Let’s take a look at each of the Delta branded credit cards that earn MQMs and/or offer the ability to waive the MQD requirement for certain Medallion elite levels. Spend $30,000 in a calendar year on the card and earn 15,000 MQMs. Spend an additional $30,000, for a total of $60,000 in a calendar year, and earn an additional 15,000 MQMs. Spend $25,000 in a calendar year on the card and earn 10,000 MQMs. Spend an additional $25,000, for a total of $50,000, in a calendar year and earn an additional 10,000 MQMs. MQD requirements are only for those Medallion members who have a U.S. address. In addition to earning MQM from spending on your Delta credit card, there may be an MQM earning offer included in a Delta credit card’s sign-up bonus. In addition to bonus miles, the new cardholder would earn MQM after meeting the minimum required spending in the first 3 months after card approval. These offers vary but are typically around 5,000 to 10,000 MQM. Hot Tip: You can earn Medallion Qualifying Miles on several different Delta credit cards and all of those MQMs count toward Medallion Elite status, even MQMs earned from sign-up bonuses. For example, you could earn 30,000 MQMs on the Delta Reserve® card and 20,000 MQMs on the Platinum SkyMiles® card and all 50,000 will count toward qualifying for status. Having airline elite status can help you avoid long check-in lines at the airport. Image courtesy of Shutterstock.com. Each calendar year, in order to qualify for AAdvantage Elite status, you must fly the required number of Elite Qualifying Miles (EQM) or Elite Qualifying Segments (EQS). You must also generate a specified level of Elite Qualifying Dollars (EQD) by purchasing American Airlines tickets. Executive Platinum, the top elite status, comes with system-wide upgrade certificates, complimentary domestic and regional upgrades, cancellation or award fee waivers, and flight benefits. You can learn all about the American Airlines AAdvantage Loyalty Program in our complete review. Each calendar year you can earn EQMs and EQDs that count toward elite status by spending on your AAdvantage credit cards. 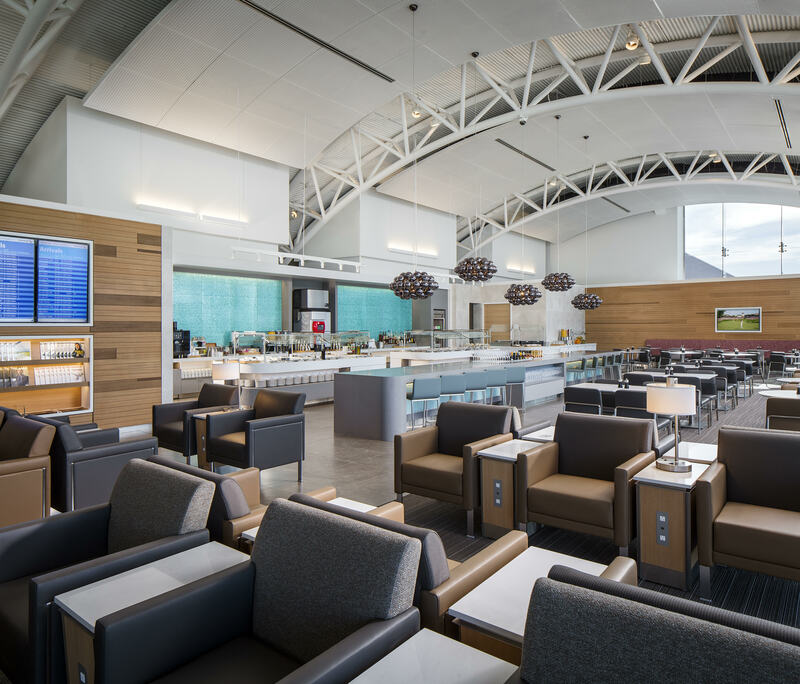 The Citi/AAdvantage® Executive World Elite MasterCard comes with premium travel benefits such as Admiral’s Club lounge access for the cardholder and authorized users, priority boarding, and a free checked bag. The Barclays Aviator Silver card is not open to new applicants but can be requested as a product change once you have a Barclays Aviator Red card. Bottom Line: There are not many ways to earn a lot of EQM or EQD with AAdvantage credit cards, and there’s no way to earn a waiver for meeting the EQD requirements. EQD requirements apply to members who have a U.S. address. Top United MileagePlus Premier elite status earns system-wide upgrades that can be used on flights booked in specific fare classes. Image courtesy of United.com. Each calendar year, the MileagePlus frequent flyer member must complete the required levels of activity to qualify for United Premier Elite status. The first requirement is to meet the appropriate amount of Premier Qualifying Miles (PQM) or Premier Qualifying Segments (PQS). If the MileagePlus member has an address within the 50 United States or the District of Columbia, they must also meet the revenue requirements (PQD) earned by purchasing United tickets. Top level United Premier 1K members receive complimentary domestic upgrades, system-wide upgrade certificates that can be used internationally, cancellation or award fee waivers, and more. To learn about the benefits of each level of United MileagePlus elite status, you can access a complete summary here. Spending $25,000 per calendar year on a United branded credit card will waive the PQD requirement for Premier Silver, Premier Gold, and Premier Platinum status levels. Bottom Line: While you don’t earn Premier Qualifying Miles with United credit cards, spending $25,000 in a calendar year on Chase United MileagePlus credit cards waives the annual Premier Qualifying Dollar revenue requirements for Silver, Gold, and Platinum levels of elite status. You can earn JetBlue Mosaic Elite status each calendar year by earning 15,000 flight points or earning 12,000 flight points and flying 30 segments. Flight points are earned at the rate of 3 points for each dollar you spend on JetBlue flights. JetBlue Mosaic status comes with free checked bags, waived cancellation or change fees, priority boarding, bonus points, and free alcoholic beverages on board. You also receive a dedicated customer service phone line. You can earn JetBlue Mosaic status simply by spending $50,000 in a calendar year on the JetBlue Plus Card credit card. To learn more about the benefits of JetBlue Mosaic Elite status, you can review this summary. A Southwest branded credit card can help you qualify for elite status and a companion pass. Image courtesy of Southwest Airlines. Here’s what it takes to qualify for Rapid Rewards elite status with Southwest Airlines. A-List Preferred members receive priority check-in, boarding, and security lane access. Free onboard Wi-Fi, 100% bonus points for flights, and the ability to stand by for other same-day flights are also valuable benefits of being A-List Preferred. A Companion Pass allows a member to purchase a ticket and add a pre-selected companion for the cost of just taxes and fees. The pass can be used unlimited times during the valid time period for which the member has qualified. Hot Tip: Are you a frequent flier with Southwest? If yes, see our complete guide to the best credit cards for Southwest flyers. Rapid Rewards branded credit cards earn qualifying tier points that count toward elite status and bonus points that count toward the Companion Pass. In addition, anniversary points granted when you renew your Rapids Rewards credit card count toward Companion Pass status. The generous sign-up bonus you receive after meeting minimum spending requirements in the first 3 months you have the card, also counts toward Companion Pass requirements. There are several ways to earn Southwest Rapid Rewards points that count toward the companion pass and free flights. To review some creative ideas and learn more about the Rapid Rewards loyalty program, you’ll want to check out our guides. Bottom Line: Southwest Airlines elite status offers several benefits, but the Southwest Companion Pass has become the holy grail of travel and is a sought after perk for those who frequently fly Southwest Airlines. If you frequently travel on several airlines and elite status isn’t important to you, you may fare better with a premium travel rewards credit card. These cards offer benefits such as worldwide lounge access, accelerated earnings on all airlines, and travel statement credits. The Platinum Card® from American Express and the Chase Sapphire Reserve® are two such alternatives to consider if an airline-branded card isn’t right for you. But, if you frequently fly one particular airline, however, you can experience additional benefits by having that airline’s branded card. Earning frequent flyer miles quickly and companion tickets are two examples of these additional benefits. Many airline-branded credit cards come with elite-type benefits such as free checked bags, priority boarding, waived fees, companion tickets, and more. Which is the best credit card for airline elite status? The best credit card for airline elite status will be one that aligns with your flying habits and your spending profile. If you frequent United Airlines, for example, the best card for you may be a United branded credit card because you’ll receive travel benefits and elevated earnings specific to United. If you frequently fly a lot of different airlines, a travel rewards credit card may be a better match. Selecting a card that offers elevated earnings on airline flight and travel purchases, has premium travel benefits, and offers statement credits for purchases you’re making anyway, could be equally beneficial. Do the miles I earn on the credit card count toward elite status? 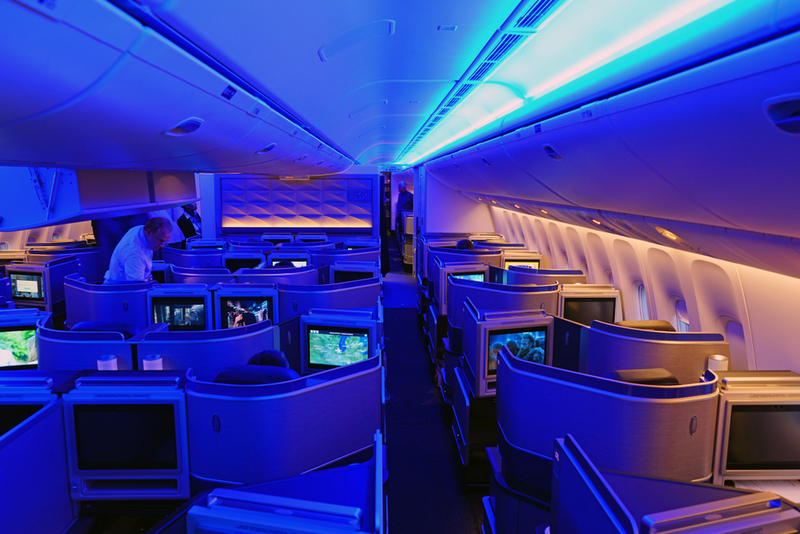 Bonus miles you earn by spending on an airline credit card don’t count toward elite status. However, some airline credit cards do earn elite qualifying miles for spending a lot on their branded credit card. If the miles will be counting towards elite status they will be described as such. For example, look for statements such as “spend $25,000 in a calendar year on the card and receive 10,000 elite (or Medallion, Premier, etc) qualifying miles. Can I earn airline elite status just by spending on the credit card? The short answer is yes. It’s possible to earn elite status by just spending on a credit card. Delta branded credit cards, for example, allow you to earn Medallion (elite) qualifying miles on their credit card. Additionally, the Medallion Qualifying Dollar spending requirement can be waived for most elite levels by spending $25,000 on one of their branded credit cards. How do elite qualifying dollars work? Airlines normally require you to fly a certain number of miles on their airline (or their partner airlines) each year in order to achieve elite status in their frequent flyer program. In addition to flying miles with the airlines, most airlines have added a revenue requirement that’s measured in the form of elite qualifying dollars. Elite qualifying dollars are earned by spending money on flights with the airline. They’re calculated in different ways but normally the base cost of the flight is included plus a portion of the surcharges and fees. If you fly with partner airlines, the revenue can be calculated not based on price but on miles flown. The metrics can be confusing but the bottom line is that in order to make elite status with an airline you’ll normally have to fly the required miles and spend a certain amount with the airline. Some airlines will waive the revenue requirement (elite qualifying dollars) for some elite status levels if you spend $25,000 on their branded credit card.